New Gitarist issue in stores now! I’m sure because I checked. The new Gitarist issue is in stores now. This issue features an interview I did with singer/guitarist Jess Jacob of Belgian Blues band turned Rock Ganashake, as well as a review I’ve written on their new album ‘Flirty Fishing’. Only one other article from my hand is in the magazine, being a review on Dew-Scented’s killer new album ‘Icarus’, but there’s a lot of other good stuff in there. As a fan of the genre, I personally love the Desert Blues feature. There’s a feature on Peavey’s 5150 amps and interviews with Steve Vai and The Black Keys singer/guitarist Dan Auerbach. For starting fans of the former, the sweep picking workshop included could be interesting material as well. The new Les Paul and Fender Standards that are on the cover are reviewed and for me, the article about the recordings of Mark Tremonti’s solo record was interesting, I kind of wish I could have done that interview. So guitar freaks of all corners of Holland and Belgium, check that out! Never having been a fan of The Jam, I never took the time to check out Paul Weller’s solo work. It wasn’t until I heard the simple, but effectively breathtaking ‘The Changingman’ on VH1 about a year and a half or so ago that I realized that “the Modfather” was a genius. I rushed out to my local record store to get the album the song opens – luckily it was on sale – and was enchanted by its music. This isn’t the Who-influenced Mod that made Paul Weller famous in the first place. Weller and his band mates are jamming here. 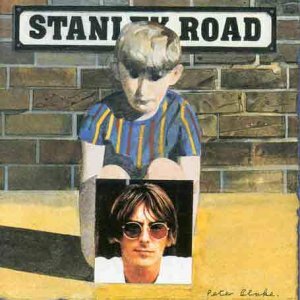 ‘Stanley Road’, not unlike his self-titled debut and the wildly eclectic ‘Wild Wood’ before it and ‘Heavy Soul’ after it, injects a powerful shot of Bluesy Soul into Weller’s firm British roots. The result sounds somewhat like Traffic jamming with Curtis Mayfield, but even though this album features extensive jamming, Weller’s music is a more to the point than both of those artists would ever be. Though rocking, the sound is laidback, almost without exception and as a result, the album works best as the soundtrack to a late summer daydream. Most remarkable about ‘Stanley Road’ is the flawless musicianship. Weller, lead guitarist Steve Cradock, drummer Steve White and bassists Dr. Robert, Mark Nelson and Yolanda Charles sound as if they’re so comfortable and familiar with each others playing, that the songs appear to have written themselves as they were recorded. Guest appearances by the likes of Noel Gallagher and the incomparable Steve Winwood are no different. Nothing sounds forced on this record and everything just fits. But of course, all of the high-class musicianship would have been pointless, had Weller not written a handful of brilliant songs for the album. ‘The Changingman’ was my eye-opener for Weller’s music and it remains my favorite song of his to date, but there are many, many more songs to enoy here. The introspective ballad ‘You Do Something To Me’, for instance, or the stomping rhythms of the title track, the dynamic ‘Out Of The Sinking’ and the brooding masterpiece ‘Whirlpool’s End’. Yet in the end, it will always be one of those albums you listen to entirely instead of playing a few selected tracks. And it works; those 52 minutes fly by and you won’t even notice. Although it is instantly audible from what era of Metal Vicious Rumors stems, it’s quite hard to categorize them. Their music probably comes closest to the glorious 1980’s US Power Metal, with all the layers of spectacular guitar work, but especially on this brilliant fourth album of theirs, ‘Welcome To The Ball’, there’s quite some riffs bordering on the more melodic vein of Thrash, think Powermad, Holy Terror and the likes. Still, the band isn’t heavy enough to be a Thrash band. Then there’s the late Carl Albert, whose powerhouse voice was equal parts Hardrock, USPM and Thrash, not unlike Metal Church’s Mike Howe at the time. That accounts for a combination of the best three genres the eighties had to offer, you won’t hear me complain! Central to any Vicious Rumors record is the downright stellar guitar work by band brain Geoff Thorpe and his fellow axeman, Mark McGee in this case. The NWOBHM-on-speed riffs are all over the place, the soaring twin leads are irresistable and the guitar solos by both men – McGee’s outnumbering Thorpe’s by a hair – are the climaxes to the awesome compositions on the albums. However, the classic Vicious Rumors records – ‘Digital Dictator’, the self titled and this one – are lifted to a higher level by Albert’s charismatic and powerful vocals. I’m not saying Vicious Rumors became worse after his fatal car accident in 1995, but Albert has yet to be surpassed. ‘Welcome To The Ball’ starts out relatively heavily with ‘Abandoned’, not a typical Metal opener in the sense that it’s not a very fast track. However, it does make sense as an opening statement to this record, as some of the faster tracks, such as the awesome ‘You Only Live Twice’ and the almost-Thrashfest of ‘Six Stepsisters’ pass by at exactly the right moment on this record. Other highlights include ‘Savior From Anger’, which has a chorus with gang shouts and great vocal harmonies, therefore containing all the elements of classic Vicious Rumors backing vocals, the powerful closing track ‘Ends Of The Earth’, which spots the best bass lines of the album, ‘Dust To Dust’ and the best ballad Vicious Rumors has ever written: ‘When Love Comes Down’, the definition of a power ballad. Production-wise, this is exactly what you’d expect from a late eighties, early nineties USPM record. There’s a bright gloss and reverb to the total sound and Larry Howe’s drums in particular, I just have a feeling that the guitars are a bit more ballsy. 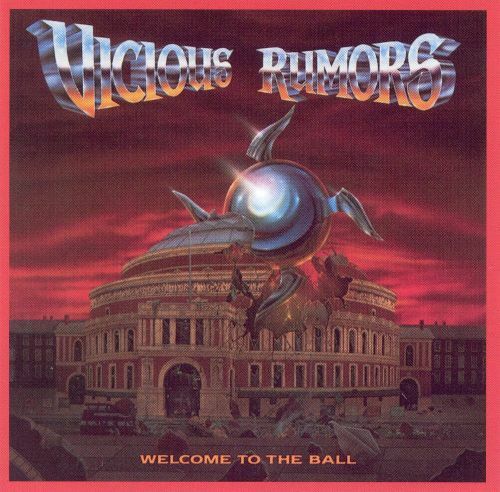 And of course, the guitar work is basically what Vicious Rumors is renowned for. Interesting sidenote is that the bass is relatively present for a classic Metal album, which makes sense, figuring David Starr’s qualities as a bassist. If you are a fan of classic, US Power Metal, you need to own this album. And if you’re running off to get it, be sure to pick up ‘Digital Dictator’ and the self-titled as well. This is classy, powerful Heavy Metal in the best Maiden/Priest tradition. Recommended to anyone who likes classic Heavy Metal, but open minded Thrashers may want to give this a shot as well. Though Hip Hop isn’t necessarily a genre I usually like listening to, the genre has boasted a few classic albums I love to listen to. Most of it is the early eighties stuff, when the line between Funk and Hip Hop was still pretty thin, but the live Hip Hop The Roots have been delivering on their recent albums just keeps getting better. Starting out as a combination between socially conscious lyrics and jazzy music courtesy of the brilliant rhythm section of Ahmir ‘?uestlove’ Thompson – one of the world’s best drummers overall – and bassist Leonard ‘Hub’ Hubbard, The Roots have gradually grown more eclectic and better with every release, with 2010 release ‘How I Got Over’ being the highlight so far. 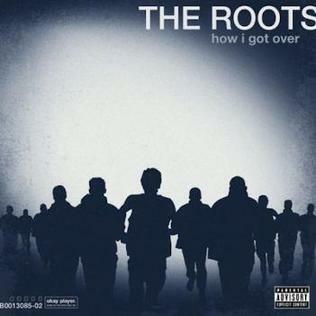 What I like most about ‘How I Got Over’ is the overall somber mood on the album. This isn’t the “long live the party” vibe you hear on mainstream radio every day, this is – if I interpret everything correctly – about people struggling to keep their heads above the water in a changing and confused world, all set to moody background music that is at times reminiscent of the jazzy vibes of the days of ‘Do You Want More?!!!??!’. ‘How I Got Over’, however, puts more emphasis on strong and catchy choruses than before, which gives an impression of actual songs instead of vamps decorated by raps. After a jazzy a capella – although I suspect the voices are sampled – intro ‘A Peace Of Light’, the first gloomy piano chords of ‘Walk Alone’ open the desperation of this album. ?uestlove places his snare and cymbal hits as crashing explosions in atmorphere, the raps are reflective and the chorus has the soul of an old Blues man. This and the following ‘Dear God 2.0.’ – almost a sequel to the song by Monsters Of Folk, who appear on this version as well – set the sad mood for this album perfectly. There are some moments that break this mood though, such as the cry for breaking out which is ‘The Fire’ (featuring John Legend – with whom The Roots recorded the equally brilliant ‘Wake Up!’ – on the amazing chorus), the somewhat hopeful title track and the subdued groove of the brilliant ‘Radio Daze’, which is somewhat similar to an early sixties Soul song in delivery. This variation is what makes this album so brilliant in the first place. The only low is the closing track ‘Hustla’, but that’s only a bonus track! ‘How I Got Over’ is one of the best albums released this decade (if you start counting in 2010 that is…), regardless of what genre it is. Since the addition of guitarist ‘Captain’ Kirk Douglas, the band has become even better than I already thought they were and ‘How I Got Over’ is the album that is even better than the jazzy ‘Do You Want More?!!!?? !’, the breakthrough of ‘Things Fall Apart’ or the amazing, wildly eclectic ‘Phrenology’. The only way to get a better impression of what The Roots are able to do, is to see them live. It’s been quite a while since I last heard a new Thrash album that made my blood boil in excitement. Dew-Scented’s ninth album does just that. The Germans once again succeeded in making a brutal, high-paced Thrash Metal record that thorougly tested the muscles in my neck. Although…Germans? Since ‘Invocation’ two years ago, vocalist Leif Jensen exchanged all the musicians surrounding him for three Dutchmen. A brilliant choice; the guitar riffs Marvin Vriesde provided for this record are nothing less than spectacular. 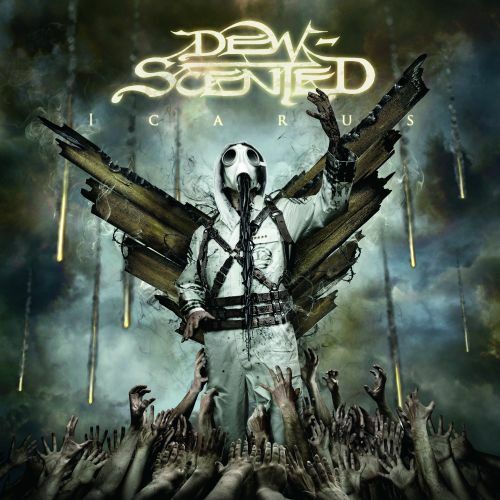 Dew-Scented has always operated somewhere on the line between Thrash and Death Metal. Though ‘Invocation’ contained all the familiar Dew-Scented ingredients – as always led by Jensen’s trademark bark – the album showed the band moving a bit more towards a traditional Bay Area Thrash sound. And although ‘Icarus’ has a distinctly more European vibe than ‘Invocation’, I’d still say that this is pretty much a full-on Thrash Metal album, only with a Death Metal intensity, characterized by Jensen’s growl and Koen Herfst’s (limited) use of blastbeats. Vriesde has already filled in for the band on various occasions throughout Dew-Scented’s line-up changes infested history, even playing half of the guitar solos on ‘Issue VI’, and he is truly the revelation of this album. His songwriting is as varied as is possible within the Dew-Scented paradigm, shifting back and forth between neck-breakingly fast passages, slightly more melodic bits (check that solo break in the killer opening track ‘Sworn To Obey’!) and more creeping, crushing midtempo bits (like the amazing ‘Reawakening’, also spotting a guest spot for Dan Swanö). Also, his guitar solos are compositionally the strongest Dew-Scented solos so far, surpassing the Slayer-ish screaming and dive-bombing of many of his predecessors, sometimes even offering a place for a little melody. Giving Vriesde credit for all good about this album wouldn’t be fair though. Leif Jensen is still infused with the same amount of aggression as in the ‘Impact’ days, Koen Herfst is one of Holland’s best drummers, especially in the Death Metal field, and proves so on this album. Bass has never been a very prominent feature in Dew-Scented’s music – or anyone in their genre, really – but Joost van der Graaf demands his position within the music and fills it well. It all accounts for brilliant Thrashers, such as the surprisingly varied ‘Thrown To The Lions’, the very intense ‘The Fall Of Man’, ‘Gleaming Like Silver’, featuring Rob Urbinati from Canada’s severely and unjustly overlooked Sacrifice on guest vocals, and the aforementioned ‘Sworn To Obey’ and ‘Reawakening’. But really, all of the album is great and due to the surprisingly large amount of varation, it’s great from start to finish. For those of you already familiar with Dew-Scented’s high-energy, high-speed and high-quality brand of brutal Thrash Metal, this album can be bought without any hestitation, but anyone who likes their Thrash Metal with the intensity of Death Metal or their Death Metal with the bloodthirsty sense of aggression found in Thrash Metal, Dew-Scented is your band. And ‘Icarus’ may even surpass ‘Impact’ as the album I’d recommend you to check out if you don’t know them yet.